Designer Mitchell Freedland converted a 1962 tract house in Palm Springs, California into a glitzy rancher. 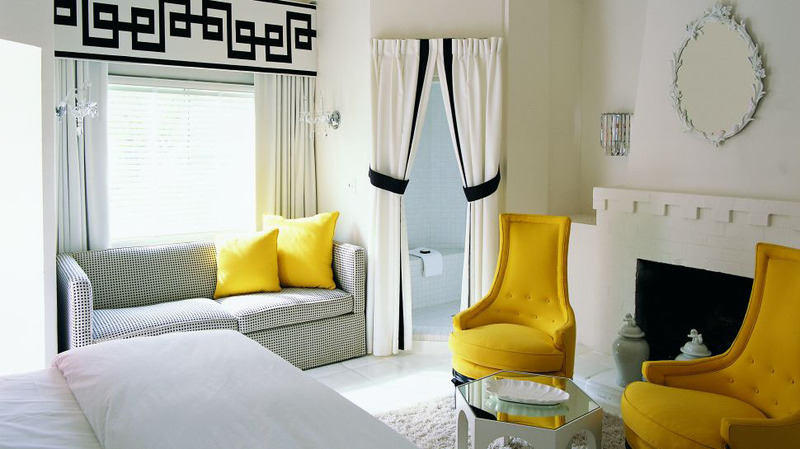 The black and yellow color scheme throughout is a reinterpretation of the Beverly Hills Regency style decor. 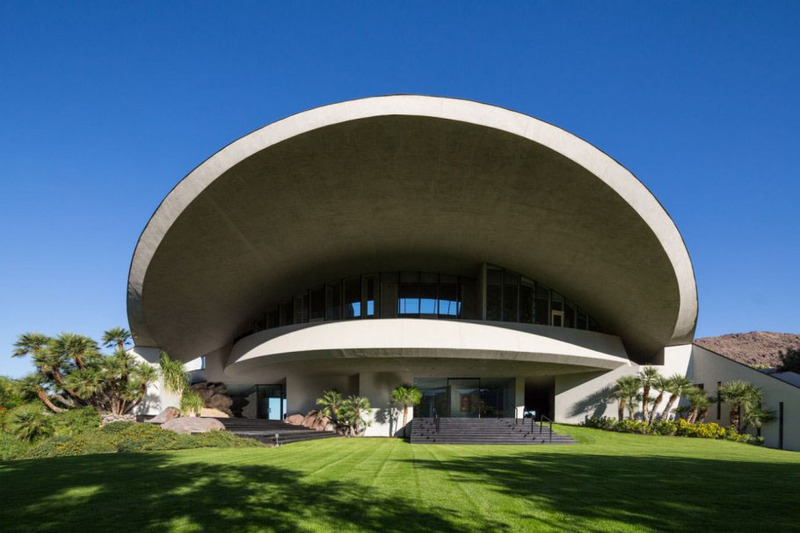 The estate of entertainer Bob Hope in Palm Springs, California is a contemporary castle with a dramatic design by Modernist architect John Lautner. 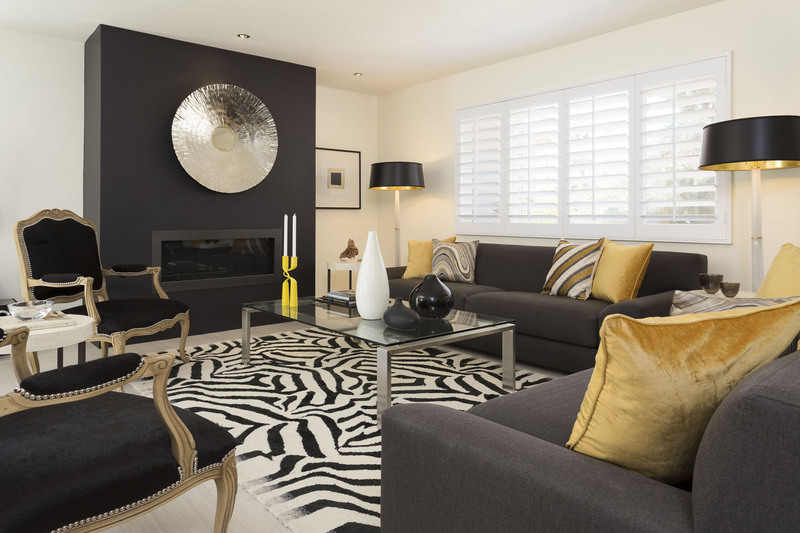 The property enjoys panoramic views of the Coachella Valley, including the city of Palm Springs and the San Jacinto Mountains. The structure was built to resemble a volcano, or a giant mushroom, with three visor like arches and concrete roof with copper top. At the center there is an open semi-circle which serves as an open courtyard to the sky.